Many will argue that the kitchen is the heart of the home and others may argue that the kitchen is the most used area of the home. We happen to agree with both. It is important to keep the kitchen in tip top shape. However, keeping the kitchen looking its best can be a difficult task as constant décor changes can be quite expensive. Changing the light fixtures in your kitchen can give you the upgrade your kitchen needs without the expense. Investing in one of these trending light fixtures will help brighten up the kitchen space and enhance your current decor style. Here are 10 light fixtures that your kitchen needs today. 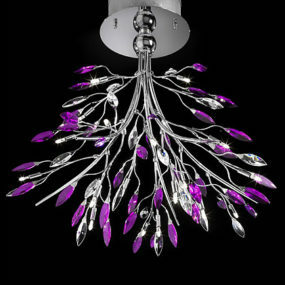 Want to take the glamorous chandelier one step further? 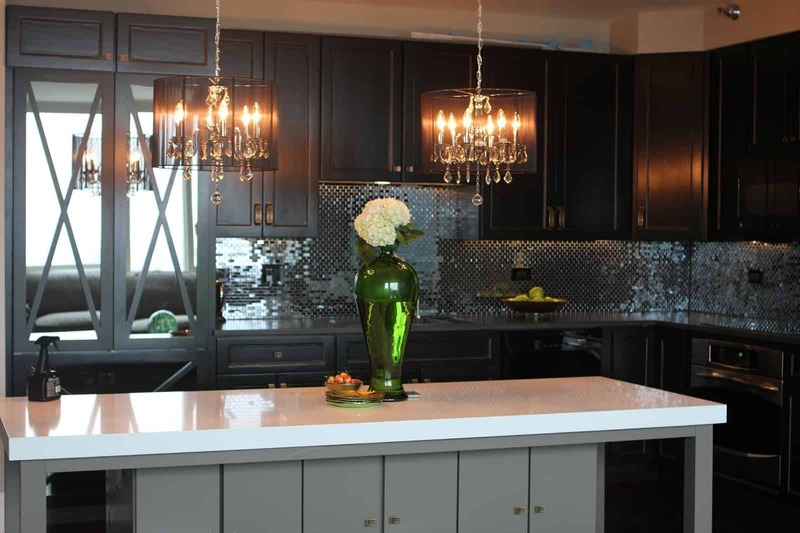 Add two chandeliers instead of one to get the ultimate glam effect in your kitchen space. Consider making them identical in order to have the best effect. 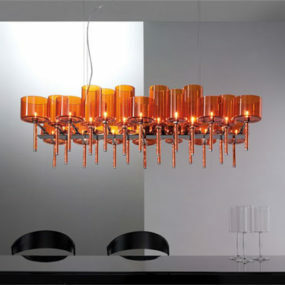 Chandeliers have become very much on trend because of how versatile they are. They can be glamorous, edgy and/or chic. Do not be afraid of incorporating a glamorous chandelier into your kitchen space. Having a chandelier in the kitchen can help pull together your kitchen décor without the need of added decorations. 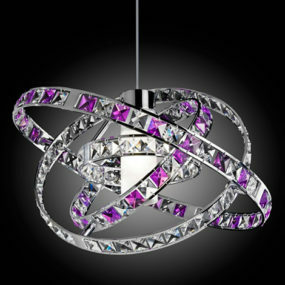 Pendant lighting fixtures come in multiple different shapes and sizes. If you want to add a unique touch to your kitchen add pendant lights in unique shapes that captivate the room as soon as you walk in it. 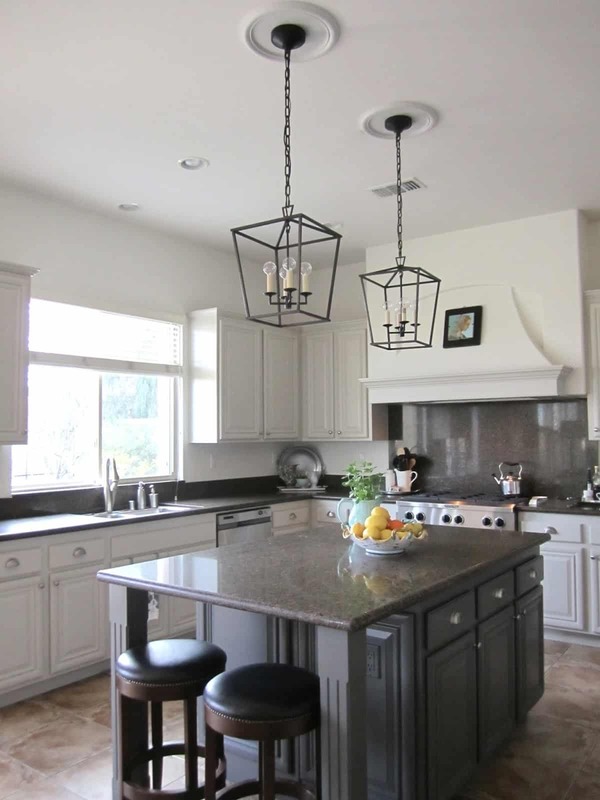 Pendants have always been a popular choice for kitchen lighting fixtures. However, they are getting an upgrade by being painted. 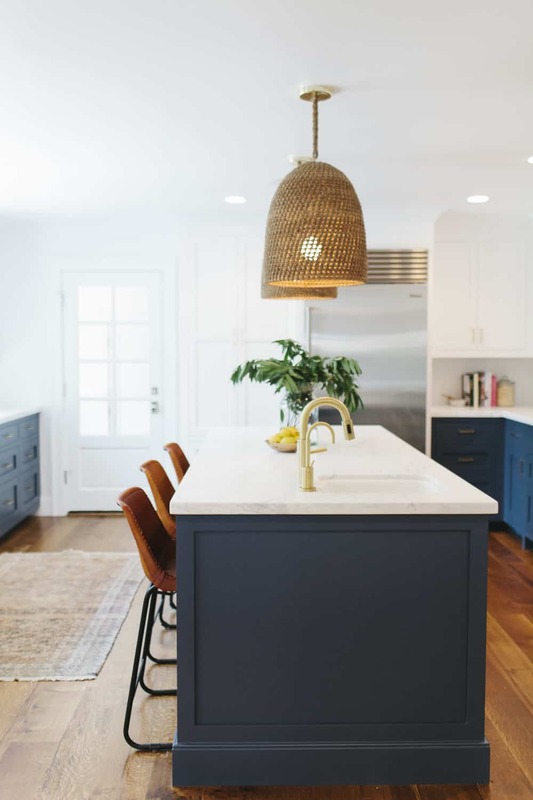 Painted pendants are now very much a kitchen trend to have. Paint them a bright color to add a pop of boldness to your kitchen. Wicker light fixtures come in multiple different sizes consider using large fixtures in a kitchen space with minimal decor. The minimal decor will help create a focal point around the wicker light pendants. A natural pendant made out of wicker can make all the difference in your kitchen space as it adds a natural feel to your décor. It also adds texture and visual appeal. Lanterns are no longer an outdoor lighting option. They are now a kitchen light fixture trend as well. A unique lantern can create an edgy feel that otherwise would be difficult to create in the kitchen area. Lanterns come in all different shapes and sizes. Why not have a unique one that stands out from the rest of your décor? Consider adding a lantern in a unique, bold color or with an intricate design and have your entire décor focus on it. Doing so will create a focal point in your kitchen that will be hard to miss. In order to achieve the pop of yellow in your kitchen, you can choose to have kitchen fixtures that are yellow on the exterior. Or you can choose to change the light bulb of your light fixtures and interchange them for yellow bulbs. Yellow bulbs will cause the entire light to give off a yellow tint to your kitchen. Speaking about bold and unique lanterns and/or light fixtures nothing screams fun quite like the color yellow. Yellow is the ultimate color when you want to brighten up a room or create a completely different look without many different décor objects. Add a yellow lantern to your kitchen to lively up the space. If you feel your kitchen is feeling a bit drab this may be the quick fix that you need. If you have a breakfast area that is very close to your kitchen add a different light fixture in that area then you would in your kitchen. 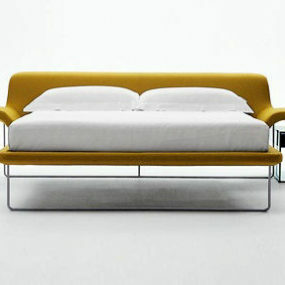 Doing so this will create the mix and match contrast that will spark a contemporary feel in the room. 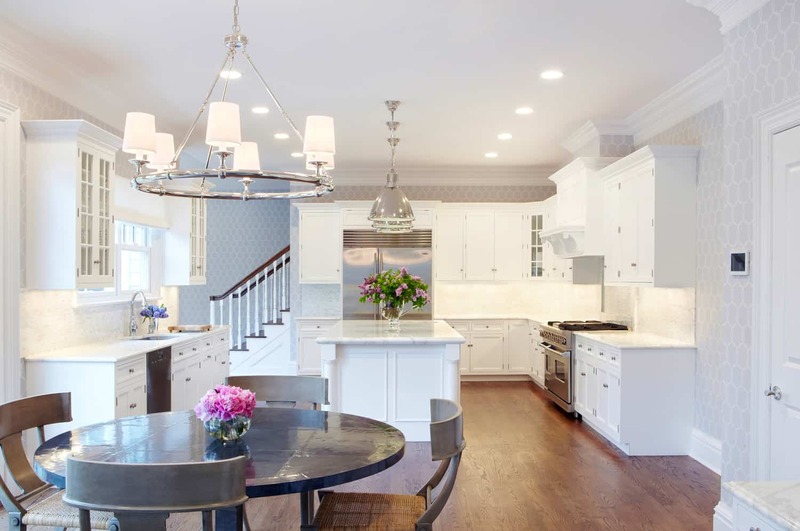 When you think of kitchen lighting fixtures you may typically think of two matching fixtures that brighten up the space. However, mixing and matching your light fixtures is the ultimate trend to follow. 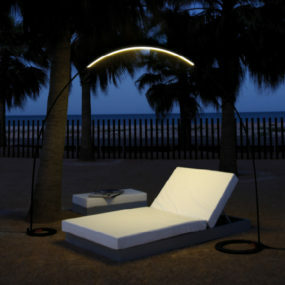 Instead of having 2 fixtures that match consider having 4 fixtures that mix and match. The fixtures can be of different styles and even shapes, but they should be a similar color. This will ensure although they are different they will work well together. 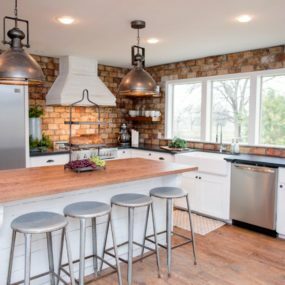 Copper is an excellent metallic tone to have in your kitchen as it works well with multiple different tones that you may already have in your kitchen. Consider having silver as well as rose gold for an added pop of metallic in the space. 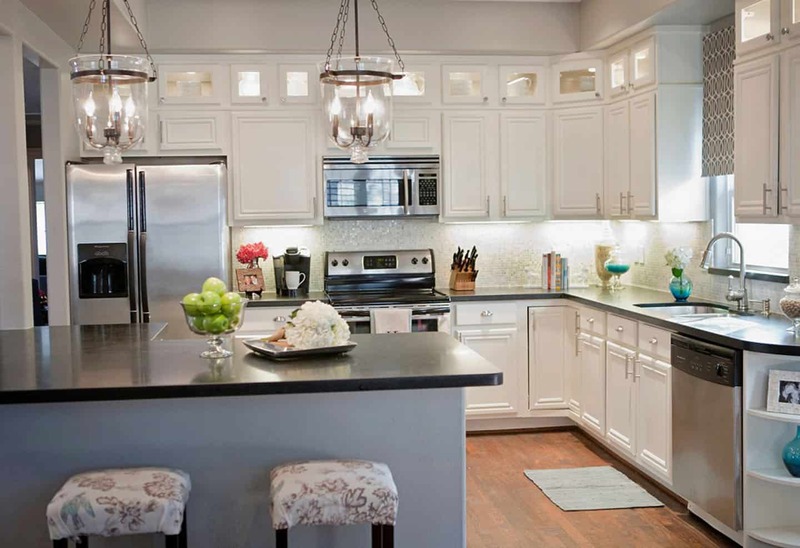 Add an edge to your kitchen with a metallic tone light fixture. 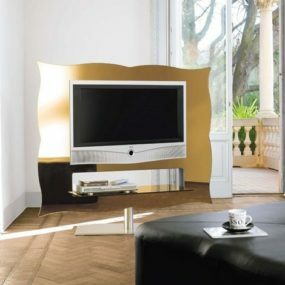 Metallic tones are great to have as they are considered neutrals. Because of this, they are easy to work with and even easier to decorate around. They add a powerful impact without the boldness that a bold color fixture would have. 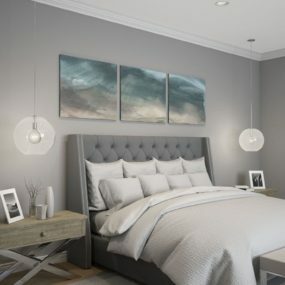 An oversized light fixture can come in multiple different shapes. Consider having a large light fixture that has an intricate design such as this one. The petal design gives the kitchen a whimsical feel. Small, light fixtures have always been on trend. However, they are now taking a step back and are giving the spotlight to the big ones. Oversized fixtures are the ultimate kitchen essential. They create a focal point in the kitchen and demand your attention. A grand scale chandelier may be exactly what you need in your kitchen if you want to add a large statement piece. 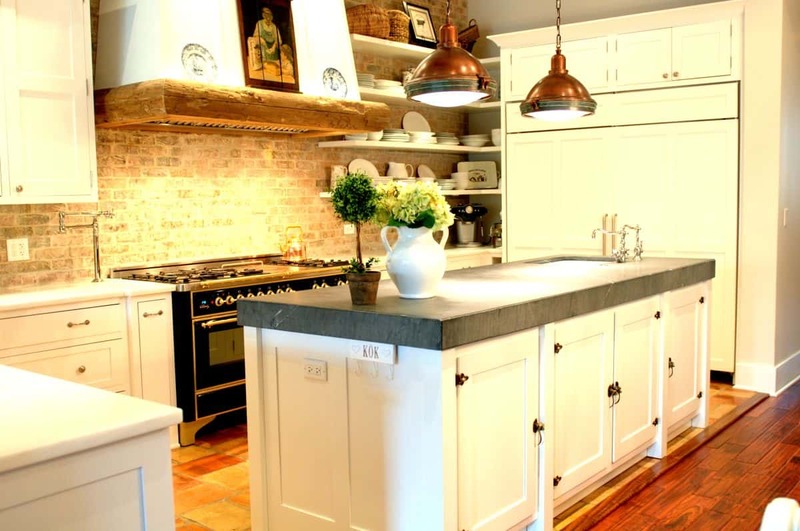 Rustic chic light fixtures add a bit of rustic feel in your kitchen space without being over powering. If you’re feeling adventurous consider having two light fixtures instead of one in your kitchen space. Rustic chic décor is huge in interior designing at the moment and it does not end with just the décor rustic hanging lights are on trend as well. There is something very warm about having a rustic feel to your kitchen. It gives you the barn appeal you may seek without being completely barn like. 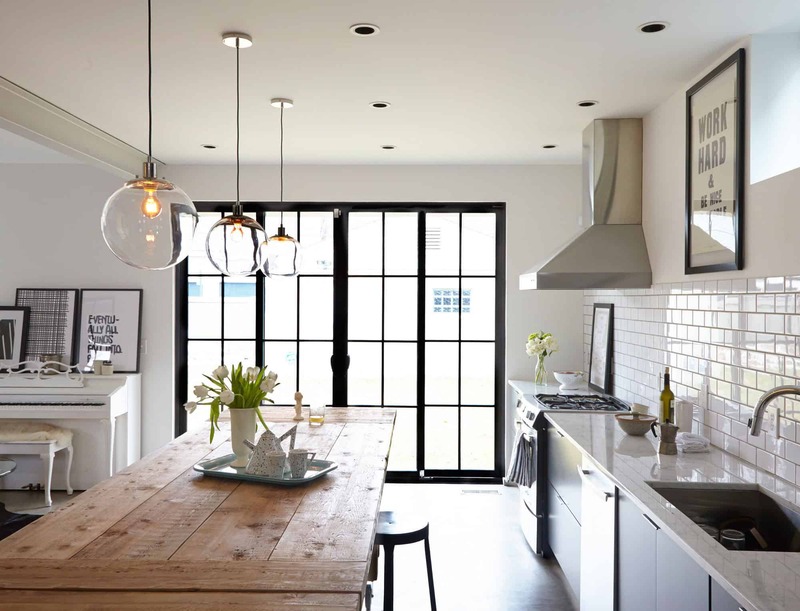 Glass bulb pendants create a classic yet edgy feel where they are placed. If you have a kitchen that has multiple different colors this is the perfect lighting fixture for you as they blend in perfectly with any color scheme. 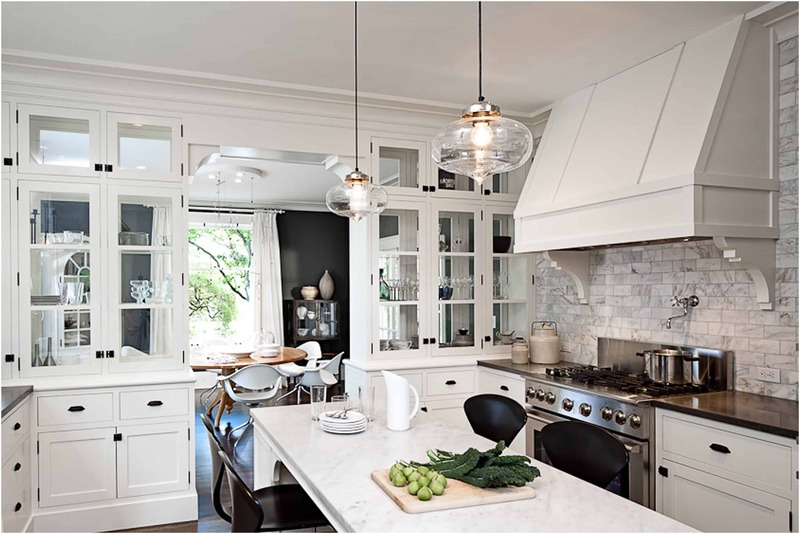 Create a vintage yet classic feeling in your kitchen with glass bulb light fixtures. Glass bulb light fixtures are great as they are easy to decorate with while being intricate to look at. If you want to give your glass bulb light fixtures a twist, replace the light bulbs with colored bulbs. This will give your kitchen another dimension of color. The fixtures used in your kitchen can make all the difference in the way your kitchen is perceived. Which of these trending kitchen light fixture do you want to include in your kitchen? Let us know in the comments below.